I don’t know how often I’ll get to do a Diablo KYL, but in continuation of the first one we did, this week we’re talking about the world of Sanctuary. 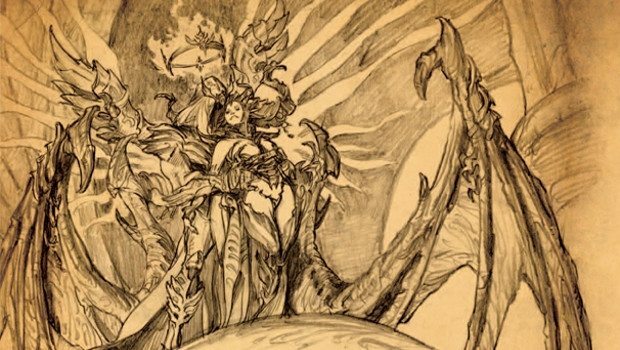 The world we experience when playing the Diablo series of games, the origin of Sanctuary is linked to its very name, as the world was created by a rebel angel and his demonic partner and mate as a bolt hole. A place where angels and demons that tired of the eternal war between the High Heavens and the Burning Hells could retreat, and escape the endless war. The Great Conflict was not so easily escaped, however. The genesis of the world was in the rebellion of the Archangel Inarius, who had grown weary of the unending back and forth violence between demon and angel, and the demoness Lilith (daughter of Mephisto) who was weary of the endless stalemate of it. The way she saw it, the battle between the two mutually opposed forces was doomed. Each side was roughly equivalent in strength, neither could win, and therefore to continue fighting it was meaningless. Together she and Inarius slowly convinced others, angels and demons alike, to abandon the Great Conflict. But where would they go? Pandemonium, which was essentially just the battlefield between these two juggernauts? They could hide for a time, but in the end they’d simply be putting themselves between the hammer and the anvil. Another solution was needed. And then Inarius remembered the Eye of Anu, the staggeringly potent magical artifact at the heart of the Pandamonim Fortress. 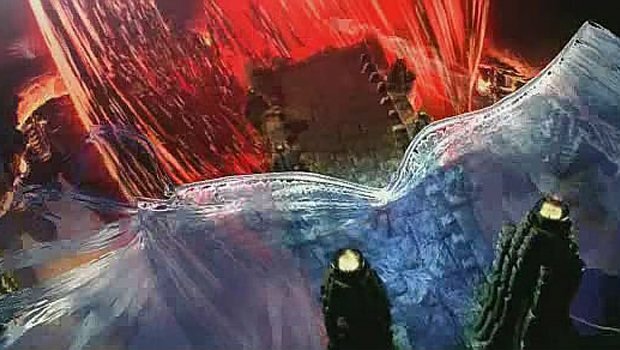 Gathering his and Lilith’s followers, they reached the Eye and seized it, taking it from its seat within the fortress. It was in part the existence of the Eye of Anu and the enormous power trapped within it that spurred on the Great Conflict – both angels and demons recognized the artifacts enormous power. When it vanished, both sides still hated one another and sought the destruction of their enemy, but the impetus that kept the conflict raging on Pandemonium was greatly reduced. After all, why fight for a prize that’s gone? To understand the Worldstone, or Eye of Anu, we must understand what Pandemonium itself was. As we reported before, at the dawn of creation Anu and Tathemet destroyed one another. The scar of that destruction, the wound that it inflicted is Pandemonium itself, and the Eye of Anu is the remnant of that cosmos-creating power released in the simultaneous destruction of the ultimate good and ultimate evil. To control the Eye of Anu was to have a glimpse at power that transcended angel or demon, power that partook of both good and evil at once. The power of the primordial Anu, the being who existed before the separation of Anu and Tathemet. This is important because when Inarius and Lilith used the Eye of Anu together, they could do what no angel or demon could have done alone – they made a world. From the beginning, Inarius intended this world as a sanctuary for those angels and demons who joined him and Lilith in their ‘retirement’ from the Great Conflict, thus its name. Using the enormous power of the Worldstone (as Inarius came to call the Eye of Anu) they went a step further than merely creating a plane to hide from the war, they hid that plane from both angel and demon alike. Neither the High Heavens nor Burning Hells knew of the existence of Sanctuary or of the deserters. All they knew was that the Eye of Anu was gone – the Great Conflict ground to a halt as the ultimate prize vanished. Inarius and Lilith each had their own plans for this new creation. While Lilith’s treachery wasn’t terribly surprising – she was the daughter of Mephisto, after all – Inarius himself proved surprisingly deft at betrayal. During the ritual to use the Worldstone’s power to create Sanctuary, Inarius made sure to tie the artifact’s power to himself. This made Inarius the most powerful entity within the realm of Sanctuary. While he was establishing this, his mate was executing her plan. The angels and demons that had come with them to Sanctuary had imitated them, in a manner of speaking, and in time a new generation of beings were born, equally angelic and demonic. Lilith herself bore the first of these Nephalem, the offspring of herself and Inarius, but none of the defectors expected what they soon discovered – the Nephalem, born of angel and demon, possessed the potential for power greater than either, and could freely choose between good and evil in a way their parents could not. For the angels and demons were each in turn descended from one of the two sundered halves of the primordial Anu – the diamond warrior Anu, or the corrupted seven headed dragon Tathemet. But the Nephalem were born of both. 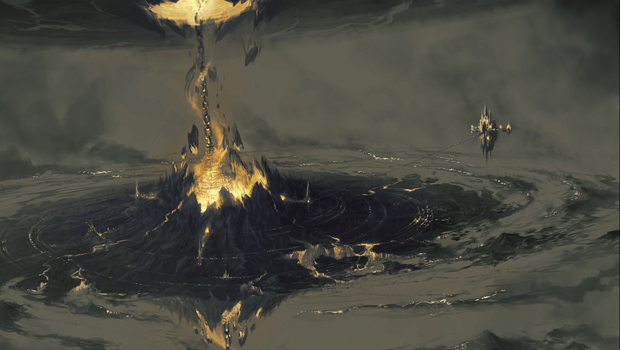 The defectors, alarmed by their offspring and the possibility that they might in time draw the attention of the Burning Hells and the High Heavens, petitioned Inarius to destroy them, and after a period of reflection, he agreed. But Lilith would not allow her offspring to be destroyed – some argue that she went mad with rage, while others that he plan for Sanctuary required their existence. Either way, she slaughtered both angel and demon alike, until Sanctuary was peopled entirely by herself, Inarius, and their Nephalem offspring. As powerful as he was by virtue of his connection to the Worldstone, Inarius easily subdued Lilith, but the damage was done – they were the last two of the renegades that had chosen to defect from the Great Conflict. Inarius did not wish to harm Lilith – he had promised he would never harm her nor allow another to do so, and he may have had feelings for her (he did father children with her) so he used the power of the Worldstone to segregate her into the Void from which all existence was born. This left him alone, on Sanctuary, with a race of beings he believed to be horrible aberrations against creation, whose potential for power was greater than his own and who would almost certainly attract the attention of those he sought to avoid. Their destruction would leave him truly alone, however, and they were his children, either directly or through his role as creator of Sanctuary. Instead of destroying these ‘mistakes’ he chose another path. Drawing upon the power of the Worldstone, Inarius weakened his children, drawing their vast inherent power (their legacy as throwbacks to the cosmos as it existed before the dawn of creation, when good and evil existed within the Primordial Anu) into the stone. He sealed it within Mount Arreat, where it would forever attenuate the power of the Nephalem – over time, these titanic beings would in turn have children, and these children would have children, and so the race of humanity was born. Inarius did not view them as abominations or threats as he did their awe-inspiring dams and sires, for they did not display that power to alter existence itself that their forebears had. The angel walked among his descendants in a form resembling their own, hiding and observing their mortal lives, their mortal deaths, and he was satisfied. Next we’ll discuss the coming of the Sin War to Sanctuary, and Inarius’ ultimate fate.